A must-have accessory for the dog on the go, use the water bowl on hikes or days out to feed your pup or let him quench his thirst. 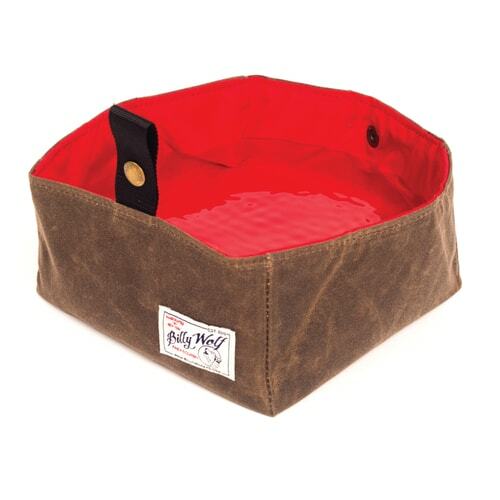 With a waxed canvas exterior and nylon lining, the bowl is completely waterproof. Antique brass snap on black nylon herringbone tape closure. Handcrafted in the USA. 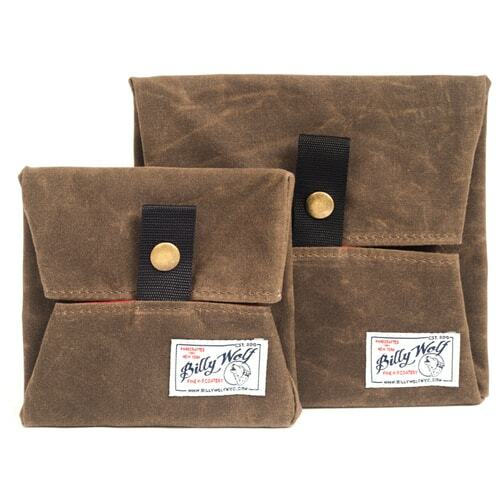 Comes in two sizes, so there's one just right for dogs of all appetites. Small: 5" x 5" x 2.5", Large: 7" x 7" x 4".